"Looking Through the Rearview Mirror" is the first published work by Bartlett Christian Writers, a group I started in 2010. We are proud to present a collaboration of poems and short stories which will inspire and delight. Now available on Amazon.com. Click here. My two contributing stories are "The Seventh Stone" and "Window," which includes lyrics to "Walking on Water," a song I wrote about my father. 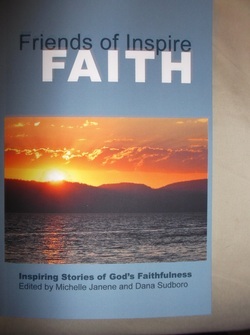 I am honored my entry "Abundance Abounds" is included in this latest edition by Inspired Faith Publishing. You may order your copy today at Christian bookstores and online here. A lovely way to honor Grandmothers everywhere. New release just in time for Christmas Ya'll. Order your copy at www.hiddenbrookpress.com. Click on the Hidden Brook Logo, then scroll down to the book cover. Click on it to order. My story is titled "Christmas Riches." You will fall in love with these pets. 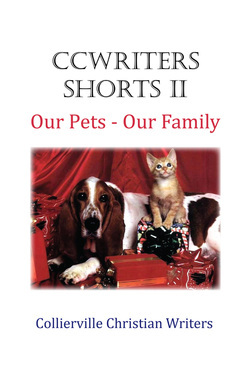 Featuring twenty-two fun and loving tales of pets we have loved and pets we love now. A portion of each book goes the animal shelter. Support the animals. "Kisses from Goldie" by Londa Hayden is also featured in this wonderful heartfelt collection of great reads. To purchase, email Susan Reichert at ccwriters2@aol.com.